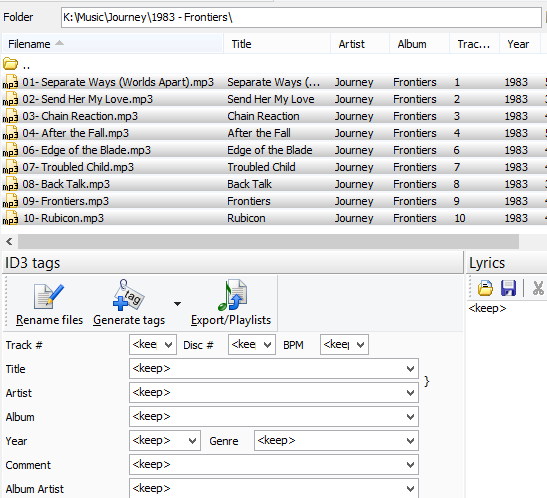 What's new in mp3Tag Pro 9.0? [!] Smart grouping of tags when several files are selected. If you replaced this value with your own one and clicked "Save tags", mp3Tag Pro would overwrite the field with your new value for all selected files. Now, if you need to make a small adjustment to some common value, you do not need to re-enter it completely. Just edit the displayed value and hit "Save tags". 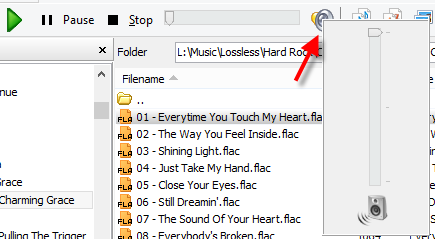 [+] Showing bitrate for FLAC files. [+] It is now possible to adjust volume in the program. Now you can adjust volume directly in mp3Tag Pro. Just click the speaker button on the toolbar and drag the slider. [+] The pause button was added on the toolbar. [+] In the header of the image area, size and resolution of images are shown. 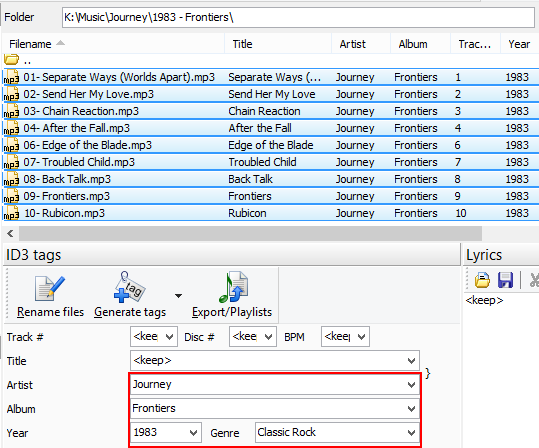 In mp3Tag Pro 9, it is now easier to select the right cover art for your audio files. The program shows resolution and size of each picture in the title of the image area. When stored inside your audio files, pictures make the files bigger. Now you can see, how much. 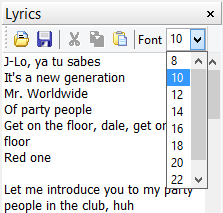 [+] Font size in the lyrics area can now be adjusted. 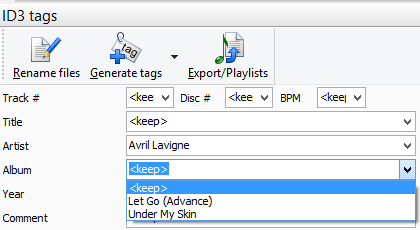 mp3Tag Pro 9.0 includes other small improvements and bug fixes.